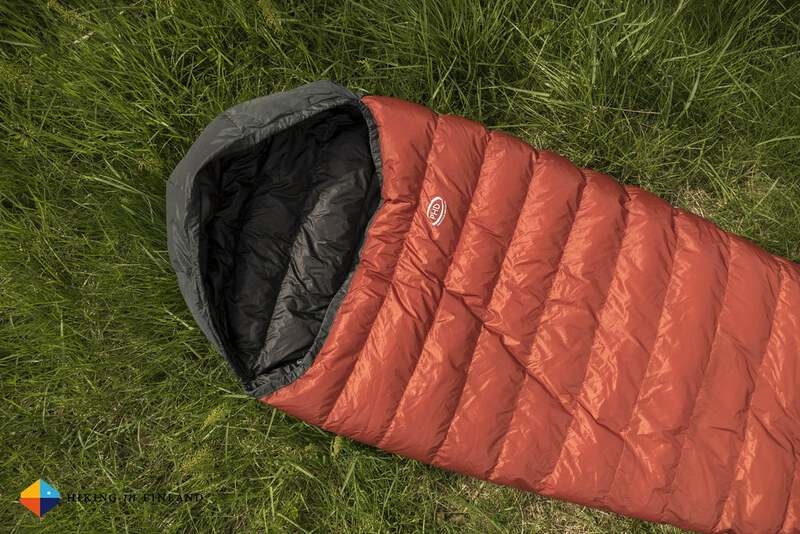 The PHD Minix Sleeping Bag is interesting: Down on top and Primaloft in the bottom with a water-resistant shell, which makes it a warm and very lightweight sleeping bag. If it’s a good choice for your 3-season backpacking trips you read in my review. The PHD Minix Sleeping Bag arrived last year May and has been used on several trips since, like my climbing roadtrip in Finland and backpacking on the Högakustenleden. 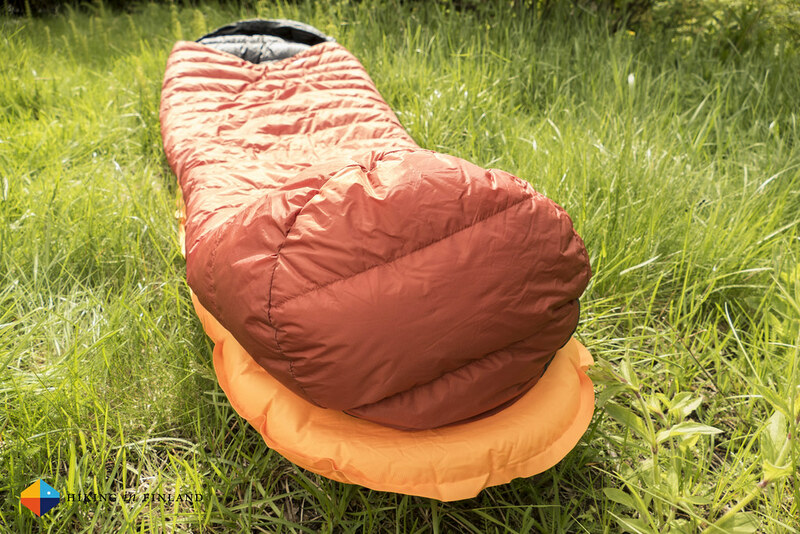 The Minix is a sleeping bag, and so it’s function is to keep you warm while you sleep outdoors. 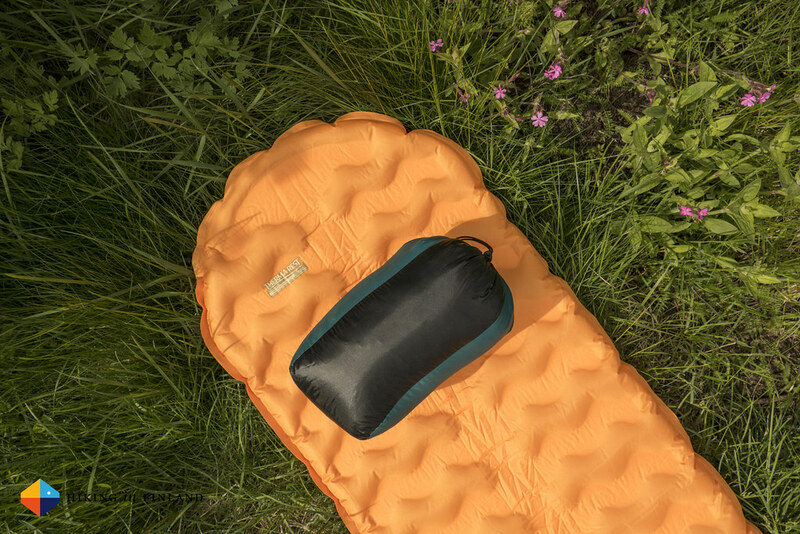 PHD uses high-quality fabrics - a water-resistant outer, a box-wall construction for the 900 cuin down and Primaloft Gold - to create a ultralight sleeping bag. 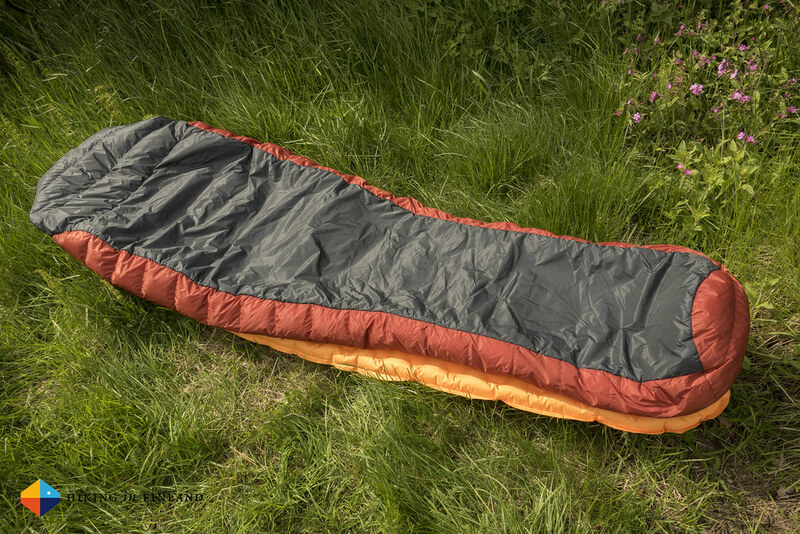 There’s also not many sleeping bags available that have a synthetic bottom and down on top - a smart way to use these two insulation materials. I own a few garments and the Minix from PHD and they are really of a superb quality. All of them are hand made in the UK, from the best and most functional materials. That quality has its price, but you’ll get many years of use out of them. The Minix I have - it’s the 2014 model which has a different colour than the 2015 one, otherwise they’re the same - weighs 575 g in Standard length, with the stuff sack tipping the scales at 25 g.
I really like using the Minix. While it needed some time to get used to the restricted movement that a sleeping bag offers, and that you only can get in via the top, once inside it was warm and comfy to sleep in. PHD gives the Minix a Comfort rating of 0°C and I can confirm that. With a T-shirt on the Minix kept me warm till 0°C, but once there was just some light minus degrees I immediately was cold in the sleeping bag. So for early spring and autumn trips you might want to take an extra baselayer along to sleep warm in the Minix, for all other times when the temperatures stay warm you can sleep just in your shirt and underwear in the Minix. If it gets too warm - for me that’s +10°C and over - the Minix was very hot and I would start to perspire. This meant I would either pull the sleeping bag down to my waist to cool off or get completely out of the bag and just use it as a blanket over me, which allowed me to also leave a leg out to cool down. The Minix is very wide above so using it as a blanket worked well for me when laying on my back. I think the sleeping bag is ideal for temperatures between +1°C and +9°C, if it goes under 0°C you want to wear something in it, and if it goes over 10°C I do run to warm in it. The freedom of movement inside of the sleeping bag is good, too. Because the Minix does not have a collar and just one drawstring to close the hole there’s not anything in the way on top, which makes turning around inside of the bag easy. The foot box was big enough for my size 42 feet and I also could lay in comfort on my side inside of the bag. The Minix comes with a mesh storage bag and a 2 l stuff sack, the latter is great and well-suited for the bag but for the mesh bag I would prefer something larger from organic cotton. I have used the Minix with and without a bivy and with a bivy you have the added benefit of a mosquito protection and a few degrees more warmth. The Minix packs nice and small and lofts very quickly at camp. A small pocket for the drawstring on top would be great, I hate straps flying around my head and a pocket where I can stuff the drawstring in would take it out of the way and add just a couple of gram of weight. I’m also wondering if a light zipper down one side would be of benefit, while this would add quite a bit of weight it would make it easier to get in to the sleeping bag and also venting would be improved. Finally, I wonder if the concept of the Minix - synthetic bottom and down top - would not be a great idea for a quilt. It would lose the hood most likely, but freedom of movement and venting would be improved a lot, and it even should be able to be lighter. If I just think about sleeping bags then the Mountain Hardwear Hyperlamina Spark, the Montane Featherlite 5, the Rab Ascent 300 and the Western Mountaineering MegaLite sleeping bags come to mind. The first is a synthetic sleeping bag while the other three are very good down sleeping bags, but none of these have two insulation materials in combination. If the idea of quilts is alien to you, then the Minix sleeping bag will be great for you. 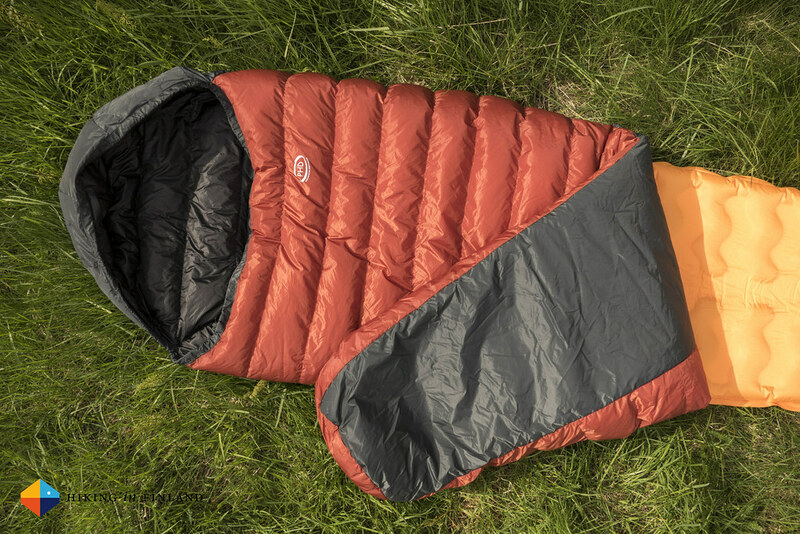 An ultralight sleeping bag that has a water-resistant shell you can use it without a bivy from spring to autumn as long as the thermometer stays above 0°C. 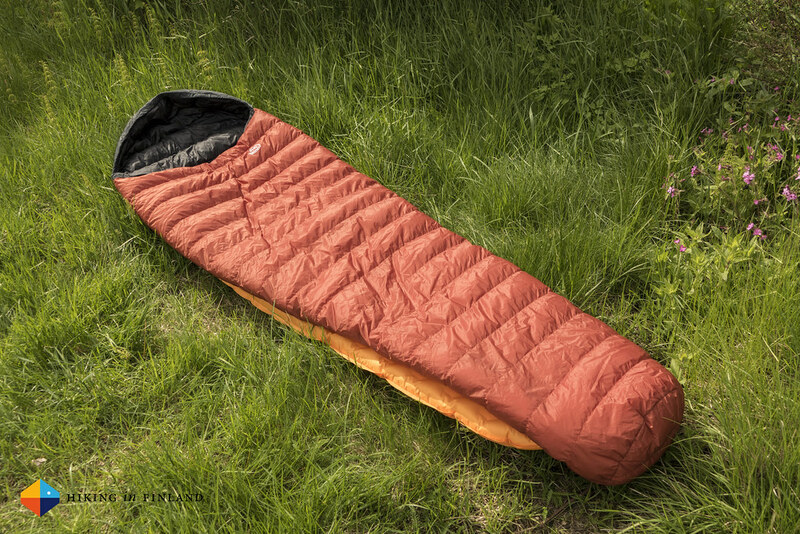 The Primaloft bottom allows you to use a lighter, less insulated sleeping pad as it is warm, even when compressed, and also is less sensitive to dew and moisture than down. The warm layer of 900 cuin down in box-wall construction on top keeps you toasty on fresh nights, and if it gets too warm you can even improvise the Minix into a narrow blanket. The water-resistant Ultrashell withstands dew and a light drizzle, protects the down and lets it loft nicely. 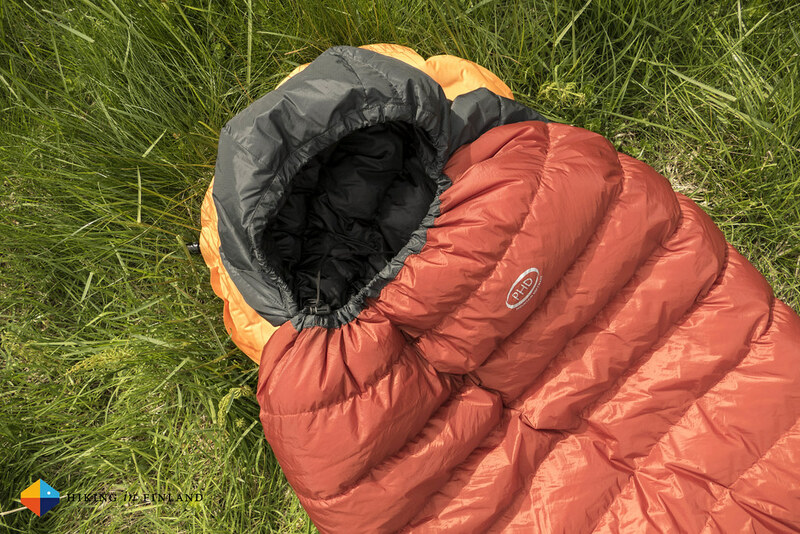 If you want one sleeping bag for your 3-season trips that’s water-resistant, light, has a small pack size and is toasty warm, consider the Minix from PHD! The Minix is part of the PHD Summer Lightning Collection that is only available in May & June from PHD directly - so hurry if you want this sleeping bag!